“How do you taste wine online?” “Is it just me or am I the only one who doesn’t get mass twitter wine tastings?” These are a few of the questions, I’ve heard related to the “taste and tweet” phenomenon. What is the benefit to the mass twitter fury, chatter, and tweet noise? I’ve participated in about a dozen online wine taste and tweet events. Some are small affairs featuring one wine from one winery with a group of 10-15 people. Others are massive world-wide tastings that bring together consumers, trade, aficionados, and beginners for the joy of the grape. The benefits of participating are many! The intimate twitter tastings have been fun and informative. Experiencing 1 or 2 wines with a group of people, and often times with the winery, opens up my eyes to new things about the business of wine and the joy of drinking it. Each time I walk away with at least one new piece of information and one new twitter friend. 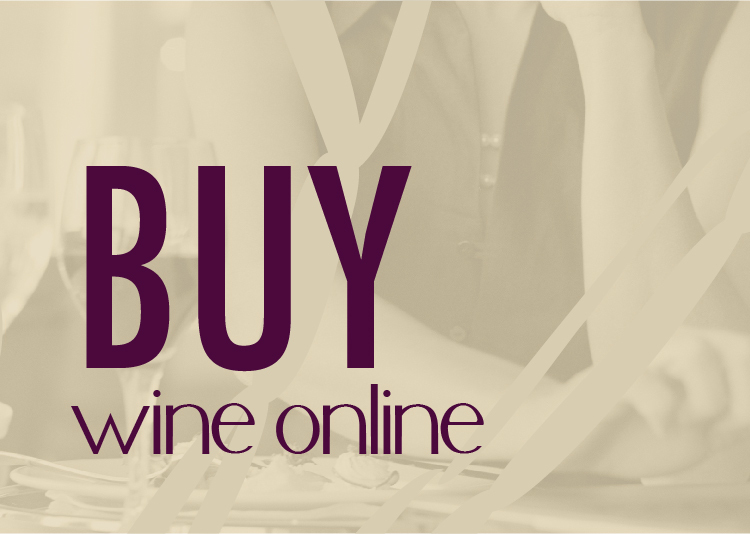 Mass online wine tasting events are an adventure and can often be overwhelming as you sift through the incredible cacophony of chirps and tweets. The recent #Cabernet day, while organized by Rick Bakas of St. Supery winery, quickly grew to be owned by the entire online community. A true use of the organic nature of social media, #Cabernet day was celebrated in New Zealand, Australia, many European countries, South America and North America. 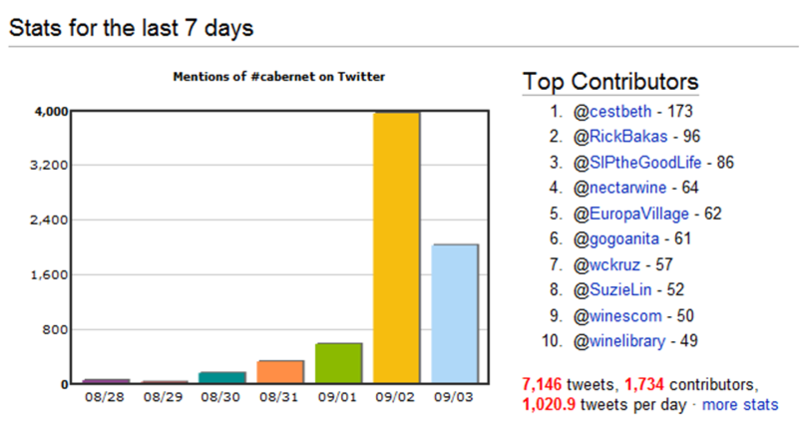 I even saw tweets from China as Brian Wing of norcalwingman.com struggled to find good #Cabernet. Several dozen wineries in Walla Walla joined together for a trade celebration. Large meet-ups were organized in Seattle, Phoenix, San Francisco, New York and more. Morton’s Steakhouse restaurant chain promoted #Cabernet day at all of their locations. Five Spokane wineries got on board offering discounts to Cabernet lovers across the city. The result, the king grape Cabernet, showed its worldwide dominance. Pretty amazing for something that started as a single tweet. There is power in an interconnected community that embraces a collaborative spirit. As I tweeted and tasted three amazing #Cabernet Sauvignon, a few things came to mind. One, wow, people love their Cabernet. The sheer volume of tweets and participants dwarfed the previous tastings I’ve hosted and participated in. Two, consumers were everywhere. Hundreds and thousands of tweets and Facebook wall posts from people not in the “trade” consumed my feed. Three, where was the media or power players? Apart from a large presence from WineLibrary.com and Corkd.com, I saw very little interaction and involvement from those who are proponents and communicators of wine news. 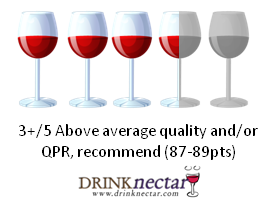 Where was Wine Enthusiast or Wine Advocate? How come bloggers and writers like Dr. Vino, Vinography, Tom Wark and others weren’t involved? While I can’t claim to know their schedule or their reasons, it was just a curious observation. As a newbie to the online community, involvement for me means connecting with people. Keeping up with the blur of tweets is an overwhelming challenge but tasting along with everyone else exposes me to new people and also helps introduce my blog to fellow wine lovers. As a blogger, I want people to read my blog. I write about wine. How often do you get the opportunity to potentially touch 2000-3000 like minded people at once with your brand? For me, not being involved is a missed opportunity in my book. The Sniff: Initially the wine presented a musty barrel room smell. After about an hour of decanting the nose came a live with cedar, dark cherry aromas, tobacco, and hints of burnt campfire wood (like right after you douse it with water). The Sip: Very impressed with the mouth fell of the wine. An immediate attack of cherry fruit envelopes your whole mouth and then dissipates to include black tea and dark chocolate. The oak is well integrated and the finish is full with smoother tannin and nice acidity. The Sip: A very smooth and elegant presentation of a Cabernet that offers up flavors of spiced oak, creamy vanilla and under ripe red berries. 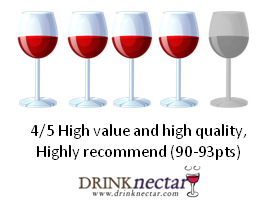 The mid-palate feels slightly hollow and the finish offers silky tannin and moderate acidity. Surprising balance with the high ABV as it’s not noticeable. The Swirl: The dark purple colors are nearly opaque. The clarity is like liquid jewelry and the light refracts across the top. The Sip: An impressively well made wine that showcases the balance of fruit, oak treatment, and Napa Valley Cabernet. The wine has a flavor of thick cream, under-ripe red berries, and what I would imagine an evergreen tree to taste like. The finish is full and lush and the tannins have a surprisingly smooth velvet finish with only a slight chalkiness on the back end. 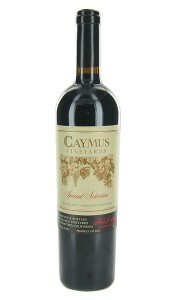 Check out this great video from Caymus Vineyards about part of the wine making process. Great recap on #cabernet day! and enjoyed your reviews of the three cabs. Also thanks for listing the #champagne tasting happening globally on OCt 28th, 2010.
was #PinotNoir of not-enough significance to mention? Or, does your bias against Burgundy’s greatest grape persist? Just kidding; thanks for putting the stats together. 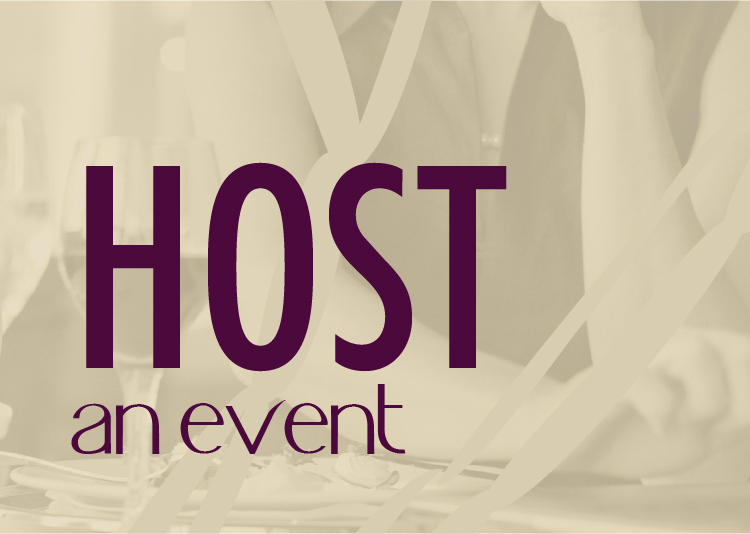 I plan to take the reigns on organizing a major Atlanta event for the next big tasting (if the dang schedule allows). Haha! It was an uber success too! I would equate it to poor journalism. maybe I’ll put something together for #Champagne! Thanks so much for the recap Josh! It was such a fun day and we had a blast working the tasting in NYC that night with the Cork’d people. This is a very well done recap of the #Cabernet Day “effect.” Having attended the event at St Supery with Rick and a slew of industry folks, I found myself inspired by the collaboration and sharing involved. People were excited to share their wines, their opinions, and insights. Twitter, and events like #Cabernet, allow us to meet new people and create meaningful connections. It is this connectivity that will remain infinitely important in helping us support the wine industry during these challenging economic times. Well done! What is the link for the #Bubbly tasting? It has the same link as the Oct. 28 #Champagne tasting. Dean – thanks for the compliment. I’m sure being in the heart of wine country is quite a treat for an event like this. We had some great events in our area too. The tweets fly fast but connecting with so many people is an awesome opportunity. A wonderful recap. Awesome. I wondered how it all turned out; I know Rick envisioned the most successful ever. I’m really excited about the bubbly tweet up. Is it just real Champagne? Alana – there are two sparkler tweetups. The first, 9/14 is any bubbly. The second 10/28 is just wine from Champagne. We loved participating in it and kicking of the Australian leg of Caberent Day here in the Coonawarra wine region. We hosted a ‘taste and tweet’ not only for visitors to our Cellar Door, but also our local Winemaking community and got a great response. Congrats to Rick Bakas and all who made the possible. Thanks for the recap, Josh, and for moving the needle all the way from Spokane. We’re not necessarily concerned with how many people participated, or how many tweets. We’re more interested in *quality interactions*. This event really had a high level of quality interactions, both in person and online. Without quality interactions, these events are noise that don’t actually produce results. When wineries have the true connections taking place, that’s when tangible results start happening. I’m fortunate to work for St. Supéry, who has given me complete freedom to do these kinds of things. The Skalli family (owners of St. S) have always been innovators — it’s pretty cool to create an event that promotes other wineries rather than just ourselves. I’m grateful they give me autonomy to harness the true power of social media. Hopefully other wineries saw this “social media thing” can work, and work well. It goes against traditional thinking, but for our winery, we saw dynamic results by promoting a *community* rather than just ourselves, and from that we saw quality interactions which produced results we liked. See you for the next one!